The number of financial centers ranked by #Z/Yen in London has grown to 100, and Asian cities are #rising. #Fintech ventures have long been praised for providing products that suit consumers&#8217; changing behavior and expectations, but also for providing financial services to demographics that have been so far excluded. Whether it is for rural populations in developing countries or SMEs struggling to get a business loan, #fintechs are smart in the way they target specific niches and markets, focusing on one product range, optimizing processes and leveraging #technology and digital platforms to cut costs, and thus, prices. One demographic that has become more and more appealing to entrepreneurs is #women. This is mainly because women clients are finding that financial institutions are not meeting their specific needs. A Boston Consulting Group survey found that of all the industries that affect their daily lives, women feel most dissatisfied with the financial services industry, and this, on both product and service levels. Investing in particular is an area where women substantially differ from men. Studies have found that women are more conservative when it comes to investing and more insecure regarding their ability to invest. Other researches have suggested that women are actually better investors than men, preferring a more long-term approach, trading less frequently and sticking with their asset allocations. As automated investment services &#8211; so called #robo-advisors &8211;, continue to expand into niche offerings, #online financial advice and portfolio #management is becoming more accessible to a broader variety of investors, including women. Miss Kaya will be Southeast Asia&8217;s very first woman-focused robo-advisor. 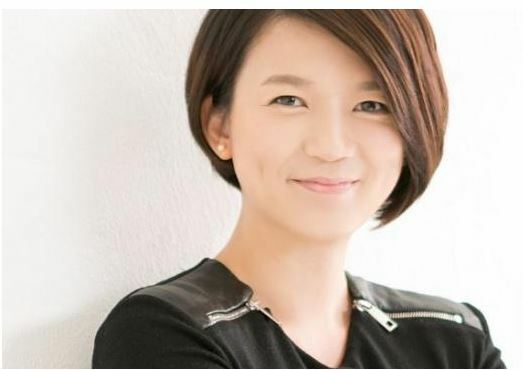 Founder Gina Heng, who simultaneously serves as CEO and co-founder at Marvelstone Group, has worked as a venture partner at Yozma Ventures, and co-founded asset management firm One Asia Investment Partners and Leonie Hill Capital in Singapore. In a recent interview with the Singapore Business Review, Heng explained what pushed her to launch this particular venture. &#8220;The types of online based #wealth management services in Asia today are still limited to financial education and product comparisons,&#8221; Heng said. The company plans to pre-launch its website some time this month, starting with offering financial education materials and a beta version of its personal portfolio management services. Later, it will offer full financial advisory services for women to manage their own finances, Heng said. Miss Kaya follows the likes of Ellevest, Worth Financial Management (WorthFM), SheCapital and Women Investor Now (WIN), which are all offering woman-centric financial services. Ellevest, which launched in May, was founded by former Citigroup CFO Sallie Krawcheck and works much like more-established players such as Betterment and Wealthfront. Ellevest creates financial portfolios made of exchange-traded funds based on a user&8217;s timeline and risk tolerance. It also offers investment products such as Roth IRAs, traditional IRAs and investment accounts, and makes money by charging users a fee as a percentage of assets managed. Ellevest takes into account female professionals&8217; unique needs such as the fact that women live longer than men and the fact that they tend to earn less than men. Ellevest raised US$ 10 million in a funding round led by Morningstar in September 2015. WorthFM, a digital investing platform by DailyWorth, was designed to engage and educate women as their investments grow. Launched in private beta in March, the platform builds one&8217;s portfolio by taking into account the client&8217;s personality, strengths, fears and sabotage patterns. SheCapital, which launched in 2015, targets female investors and aims at closing the gender gap in financial advice. The platform was designed to act as a one-stop shop for women who are looking to invest. Similarly, WIN aims at acting as an all-in-one platform integrating financial planning, investing, real-time money management tools, Robo and custom investment portfolio management, and curated content. For Switzerland we haven&8217;t yet spoted a similiar Fintech Startup. Featured image by Andresr via Shutterstock.com. The post Women Take Center Stage As Fintechs Eye Untapped Opportunity in Online Wealth Management appeared first on Fintech Schweiz Digital Finance News – FintechNewsCH. IBM expanded its #blockchain efforts today with news it will #open a blockchain #center in partnership with the #Singapore government. CoinDesk profiles a recent meeting of the Global #Blockchain Council, a 40-member working group seeking to boost the #technology in the MENA region.